This fiction collection, published in print for the first time, contains Vonnegut's grand themes: trust no one, trust nothing; and the only constants are absurdity and resignation, which themselves cannot protect us from the void but might divert. Called "our finest black-humorist" by The Atlantic Monthly, Kurt Vonnegut was one of the most influential writers of the 20th century. Now his first and last works come together for the first time in print, a collection aptly titled after his famous phrase, We Are What We Pretend To Be. Written in the 1940s under the pseudonym "Mark Harvey," Basic Training is considered to be Vonnegut's first ever novella, but was never published in his lifetime. 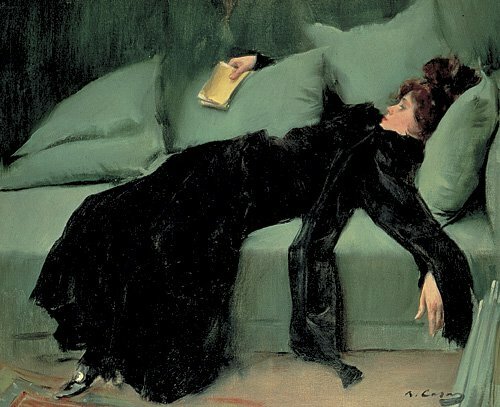 It is a bitter, profoundly disenchanted story that satirizes the military, authoritarianism, gender relationships, parenthood and most of the assumed mid-century myths of the family. Haley Brandon, the adolescent protagonist, comes to the farm of his relative, the old crazy who insists upon being called The General, to learn to be a straight-shooting American. Haley's only means of survival will lead him to unflagging defiance of the General's deranged (but oh so American, oh so military) values. This story and its thirtyish author were no friends of the milieu to which the slick magazines' advertisers were pitching their products. When Vonnegut passed away in 2007, he left his last novel unfinished. Entitled If God Were Alive Today, this last work is a brutal satire on societal ignorance and carefree denial of the world's major problems. Protagonist Gil Berman is a middle-aged college lecturer and self-declared stand-up comedian who enjoys cracking jokes while societal dependence on fossil fuels has led to the apocalypse. Described by Vonnegut as, "the stand-up comedian on Doomsday," Gil is a character formed from Vonnegut's own rich experiences living in a reality Vonnegut himself considered inevitable. Along with the two works of fiction, Vonnegut's daughter, Nanette shares reminiscences about her father and commentary on these two works - both exclusive to this edition. I stumbled upon Kurt Vonnegut's writing during college. I was nineteen and was just really enjoying all of my lit classes and all of the new books they were introducing me to. I'm not even sure which class required me to read Slaughterhouse-Five, but one of them did, and so I read it. And, Wow! I was blown away by this Kurt Vonnegut fellow - his writing was just incredible and refreshing (made me wonder why I had never discovered him myself). Anyhow, from that point on, I was hooked. I mentioned to my best friend that I had a new favorite author whose works I was going to obsess over for the rest of my life, and so she took it upon herself to buy me all of his books for my birthday - pretty awesome, eh? I even named a goldfish after him. After sophomore year ended, one of my best friends died in a car crash and she had left me her two new goldfish to take care of and well, I somehow inherited them as a result. I named the skinny one Vonnegut and the fat one, Irving (after John Irving, whose books I had just fallen in love with). From that point on, Kurt Vonnegut became my absolute favorite author. His work was my salvation during a lot of bad moments in my life, and also a friendly reminder of all the wonderful experiences during my life - he was the one constant I had at the time, or I should say, his books were the constant. I took them everywhere I moved - college, home, grad school, home, etc.. My go-to read was (and still is) Cat's Cradle. Of course, over the years, I've drifted away from Vonnegut's writings and instead became obsessed with Jean Rhys, Haruki Murakami, and, P.G. Wodehouse. But then, I'd somehow find myself once again reunited with Vonnegut's words - whether it be on the website, In These Times, where unbeknownst to me, he had been contributing essays; or through my little sister's new copy of Armageddon in Retrospect (which I happily borrowed indefinitely); and finally through sheer luck, when I won a copy of Shield's biography of Kurt Vonnegut entitled, And So It Goes. So, I suppose I was right all those years ago, when I declared Kurt Vonnegut to be my favorite author - it seems to me no that no matter what, his writing will always find its way into my life and TBR pile. Of course, that does mean I tend to be rather biased when it comes to his work - like, I'm pretty much of the opinion that he can do no wrong when it comes to his writing. In fact, I'm not even going to review this book, because you know that I'm just going to recommend you read it. And, you know that I'm going to just rave about it and how awesome it was. Seriously, that is what I would do. I mean, I don't really have to tell you what each story is about, since the summary I provided already does that. And you already know I loved the book, since I love everything by Vonnegut. But just to be clear, I found his first story, Basic Training to be unputdownable. I absolutely loved it! The writing was fresh and a bit naive, just like the protagonist. I found myself easily caught up in the story and unable to predict what would happen next - I really enjoyed it. It was nice to read something by Vonnegut that felt a bit unfamiliar - you could definitely tell that this was his earlier work. As for If God Were Alive Today, that story was vintage Vonnegut. Filled to the brim with black-humor, this story was typical Vonnegut through and through. If his name hadn't been attached to it, I still would have known it was his work - it just screams Vonnegut and that is what I loved most about it. I enjoyed the familiar writing style and voice - it made me feel comfortable, like I was visiting an old friend. I just really loved this book - the dichotomy of having the old and new side by side was exciting. It was like a peek at Vonnegut, before he became Kurt Vonnegut, the famous author who penned Slaughterhouse-Five. And, I loved reading the commentary written by his daughter, Nanette - it really provided a more personal touch to the whole book and each story. It was definitely a treat to read! 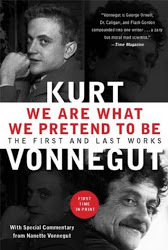 Okay, so there you have it, my very biased review of Kurt Vonnegut's work titled, We Are What We Pretend To Be. Check it out! I know you will love it, and if you don't, well, then you have really bad taste in books. Just kidding! Love this! Sometimes gushing is just what's called for.